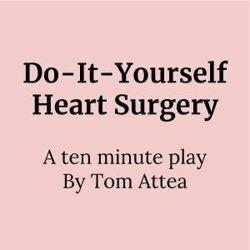 Set in present day America, this humorous short play offers a comedic take on the reality of crippling health care insurance costs. As Ray is being wheeled into surgery for a quadruple heart bypass, he panics about the insurance bills he will be hit with when he wakes up. At the last minute, he threatens to perform the operation himself, unless the medical staff can cut him a deal on their costs. Under pressure, the surgeon agrees to cut his fee in half, while the anesthesiologist will only go as far as 10%. With this deal in place, Ray hopes he can now afford to live after he wakes up from surgery. Editor's Note: This is a ten minute play.